Our well-trained hair barbers are always ready to ensure that you receive a clean cut that counterparts your lifestyle and personality. Whether it is a new or a trendy elegant look, you will be serviced and leave feeling awesome. At Imagique, we have shampoo bowls and our shampoo personnel ensure that your hair is in the perfect shape. They will ensure that your hair is in the best condition because of the massage they do on your scalp. 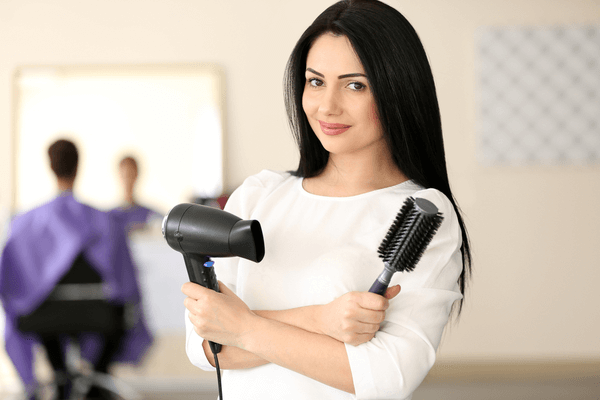 For blow-dry, the hairstylists ensure blow dry the hair according to your desire. Straightening and flat ironing styling are available. Having the correct hair color combination gives the ultimate results to the result. In case of a combination, we ensure you get the right hair color, perfect haircut and or the best-styled hair. We have professional hair colorists that are up to date with the latest trends and colors and they will work with you to achieve the best color style. When a client wants to have the perfect day, a special day or has an event, our well-abled hair designers will ensure they create the best style that complements any client’s look. At times, a client would wish to have a hair extension. We have hair extension specialists to meet your design whether long, full or any desired style. At Imagique, we are a home of all hair extensions and styling. We provide you with unique and long-lasting and safe smoothing treatments like the Hair Smoothing. The treatment involves a natural protein that is used to recondition the hair and prevent it from frizzing. This process allows the hair to curl or form waves. Before this treatment, proper consultation to identify your hair type is done. We believe that proper hair servicing is the center of everyone’s pride.